Do you want to make a taxi booking app like Cabify and Uber? Then, this blog is for you as it contains the top four features that made Spanish-based Cabify stand tall against Uber. With the advancement of technology, people are also advancing with the use of smartphones and top applications. Today, more and more people are relying on applications whether they are booking tickets, ordering food or hiring a taxi from one destination to another. When it comes to talking about taxi booking apps, the entire taxi app market leads by taxi giants like Uber, Grab, Lyft, Careem, and Cabify. These taxi-booking service providers are delivering the same service in which the only point of contact between the rider and the driver is the ride-hailing app. According to the latest news from TechCrunch, the ride-hailing company, Cabify, has announced its back operating in the city from today – a month after it left. 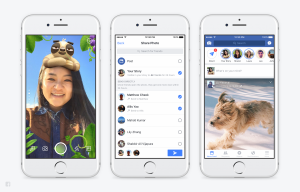 Currently, the company operates in 14 countries in its geographical footprint and has more than 13 million users in Latin America, Spain, and Portugal. And the CEO of the company said that the company will directly be on expanding its business in its current market rather than targeting new ones. In simple words, Cabify will use the investment to capitalize on its existing positions in 14 countries instead of jumping into new ones. Cabify is the ride-hailing application that allows users to order executive cars with drivers, giving an instant confirmation of the service requested. Giving tough competition to other taxi giants like Uber and 99 in Latin America, Spain, and Portugal, this taxi booking application offers the possibility of monitoring the localization with your device at any time and anywhere. Talking about the last year, Cabify achieved growth in revenue and travel requests at a global level of 500% over the previous year. For the company, 2017 was the year full of challenges and enormous opportunities, where they combined their value proposal as the most reliable and safest option in the Libero-American sector. According to the company, it has 50,000+ corporate clients globally as it is the best alternative for them, offering them greater transparency, security and personalized attention that translates into greater efficiency in their processes. Compared to other top taxi booking apps like mytaxi and EASY, Cabify has raised the maximum funding amount from the top investors. Moreover, it is one of the strongest players in the bigger development of strong regional on-demand transportation startups. 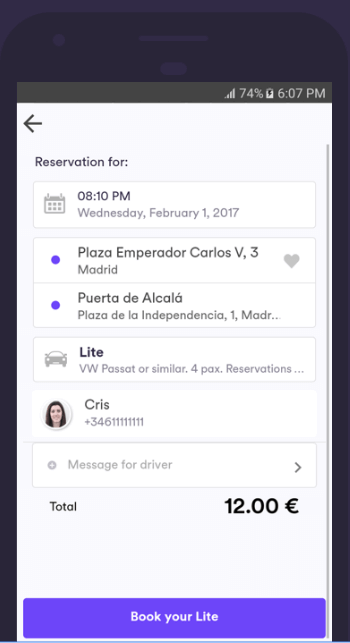 If you are thinking about how Cabify becomes a successful app like Uber, check out these top four features that made this Spanish-based app stands tall against its competitors. In the world of on-demand transportation, riders can find a lot of online taxi booking solutions that claim to deliver outstanding online taxi services. All the ride-sharing apps like Uber, Grab, Careem, and Lyft allow riders to open an app, select a destination, reach the place by time and pay for it. But are these uber like apps allow people to choose trip preferences? What if riders are not comfortable while riding? What if they don’t like to ride in the air-conditioned or music car? Will they able to choose trip preferences? But this Spanish-based ride-hailing app allows its riders to choose trip preferences whether it is air-conditioned, music or any other preference for a taxi. Unlike other apps, Cabify offers you all the frills, including a clean and modern vehicle with AC, water, and choice of music. How You Can Consider This Feature for Your App: Cabify app strongly believes in giving a luxurious riding experience to its customers by allowing them to choose trip preferences whether it is big or small preference. Likewise, you can also think about your riders’ preferences and include any such feature that can give rich experience with your app. Not all taxi booking apps are designed considering UX (user experience) and UI (user interface) in the mind. There are some of the taxi sharing apps that are not easy to use for its users, making it difficult for them to book a ride. The taxi booking app that has catchy, attractive and intuitive design will give an experience that is all worth the riders’ choice and time. 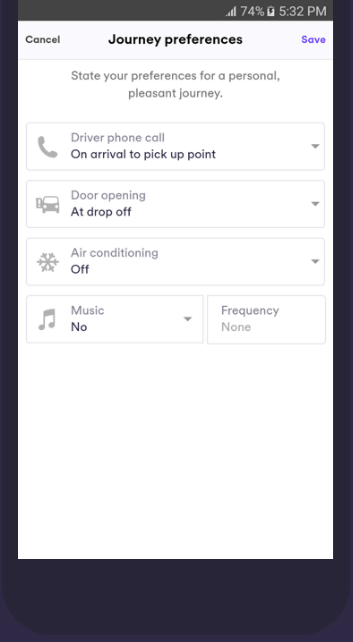 With the simple yet intuitive design like Cabify app, people can easily use app and access different features like book or schedule ride, select preferences, track a driver and more. Moreover, you can go through the Cabify application and check the design of the application that is a lot easier to use for riders of all age groups. How You Can Apply This Feature in Your App: While designing an app like Cabify, you make sure that you know your target audience and understand the behavior so that you can design accordingly. Make your app as easy as possible so that people of different age groups do not face any hassle while using your app. As you know that the term on-demand ride-hailing means getting a taxi right now, where you stand, but there are a lot of people, who want a guarantee that a car will be there when they need it. And this is the main reason Cabify taxi sharing app allows its users to book or schedule rides before 30 minutes to days in advances. Booking in advance is just like the ordinary process of requesting a car as users just need to set their pickup location, destination, preferences, time & date and any message for the driver. How You Can Take This Feature to Next Level: Like Cabify and Uber-like app, you can also allow your riders to book a ride in advance, but you can go beyond this by enabling your riders to edit the details of their trips and cancel a ride if plans change. However, you can warn your users that cancellation is only possible before a certain time, so you can avoid inconvenience with the drivers. You can also notify your riders about their schedule rides. Lets’ say 24 hrs. in advance and again 30 minutes before so that they don’t get late for their ride. No one likes to enter the same information again and again whether it is their home or office address. People just hate to type long addresses. Cabify app understands this behavior of riders and allows them to save their frequent traveling places. It also suggests rider’s usual destinations so that they just have to tap into it and get ready to go. 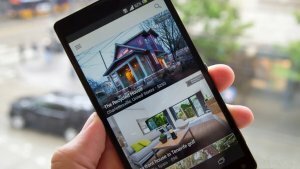 Save places saves times and makes the app more pleasant to use. How You Can Apply This Feature: To build a taxi booking app more user-friendly and convenient, you can allow your riders to bookmark their frequent traveling places so that they don’t have to enter long addresses again and again. Moreover, it would also be good if your app automatically suggests the rider’s usual destinations so that they can save their time by tapping on it. When it comes to developing a ride-hailing app like Uber and Cabify, the only limit is your imagination. You can also create your own app like Uber and make it better than other taxi apps on the market. So, do you have any ride-sharing app idea in your mind that you want to convert into the successful application? What do you think about these taxi-booking app features or you have your own list of unique features? This page was last edited on March 7th, 2019, at 9:11.